I’m a first generation immigrant who fled Liberia in the early 1980’s with my parents to escape civil conflict. When my parents fled they brought only a handful of pictures, but they brought a wealth of stories. Oral history and storytelling is a huge part of my Liberian heritage. These stories are locked inside my parent’s minds and passed from generation to generation. Some of these stories are solemn, about surviving the civil war. Others are humorous, like Spider Stories — about a trickster spider who always ended up with a taste of his own medicine. My parents, aunts, uncles, cousins and grandparents all had stories about our family’s beginnings, faith and the importance of life. 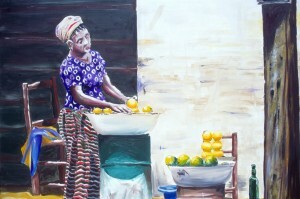 My favorite life lesson story, shared by my mother, was about the orange street vendor. 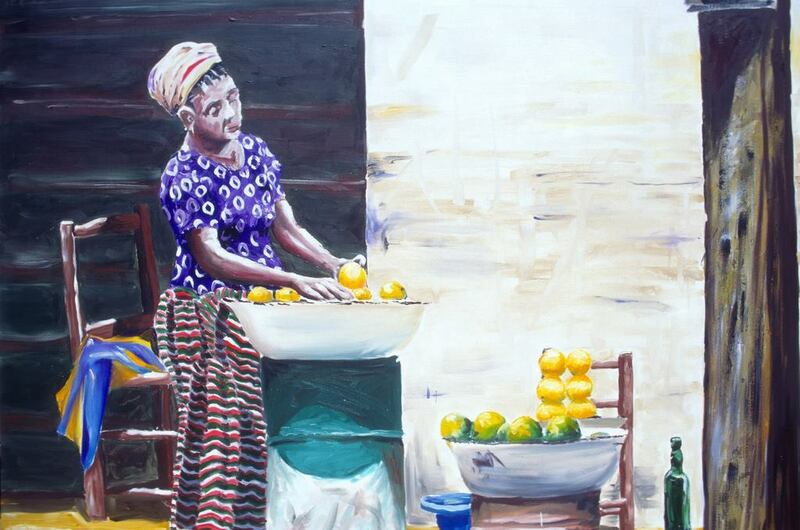 Every morning before the sun rose an old Liberian woman, who sold oranges, would set up her stand on the street corner and meet with her other vendor friends. The old woman took pride in how she peeled the orange and how people felt once they bought her oranges. One particular customer, a pregnant woman, craved this vendor’s oranges. The old woman had a special technique for cutting the orange ornately, so that you could squeeze the top of the orange and drink right from it. The pregnant woman would summon her husband and send him to the old woman’s stand to buy those specific oranges. After several trips back and forth to the street vendor’s stand, the husband told the old woman that he would buy the rest of her oranges. My mother helped me see the lesson: no matter where you are in life or what your circumstances, everyone wants to feel worthy. Feeling worthy is priceless. Money cannot replace the sense of fulfillment we have from interacting with others, from finding and serving a purpose. Our oranges can be anything, but for me, as a teacher and a mother, they are my children, my own and those I am entrusted with in my classroom. We have the privilege of working with our oranges, of shaping them and molding them. Some days it would be great to sell them all to the highest bidder, but without them what would be our purpose in life? Next time you get up in the morning ask yourself: how will I cultivate my oranges today?